In previous posts regarding pulpal regeneration, we have shown not only apical closure, but some dentinal bridging coronal to the apex. While difficult to believe, we have also seen teeth become responsive once again to electric pulp testing. The tissue that forms during pulpal regeneration has been described as "pulp-like", which includes some kind of innervation. The following case was re-evaluated at 1 year using CBCT. The ability to evaluate apical closure in 3 dimensions is a new way of evaluating success of apexification/apexigenesis/regenerative procedures. The following case was previously reported and includes the CBCT follow up. 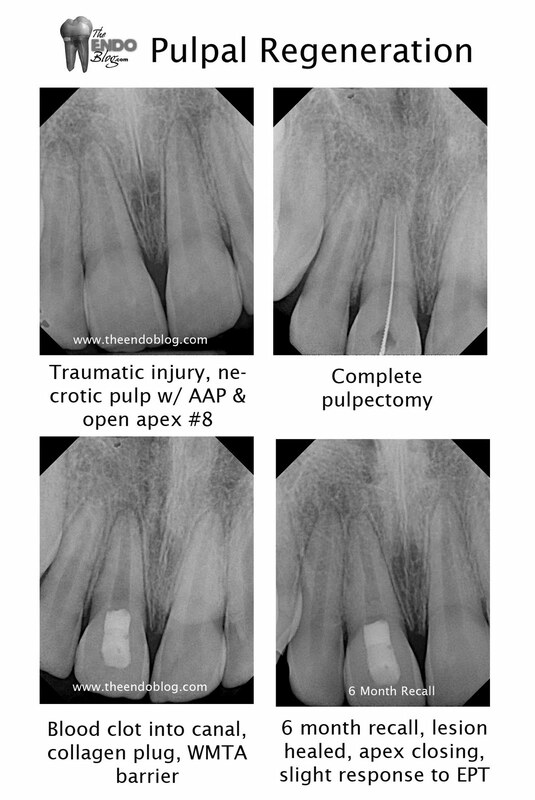 Apical closure at 6 months is noted in regular films. 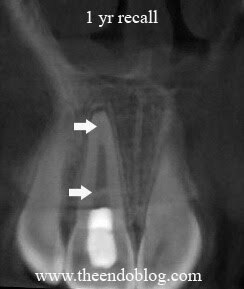 1 yr recall using CBCT not only shows the apical closure, but coronal bridging under the MTA barrier. In this case a collagen plug was placed prior to MTA. This accounts for the space between the MTA and the new dentinal bridging. 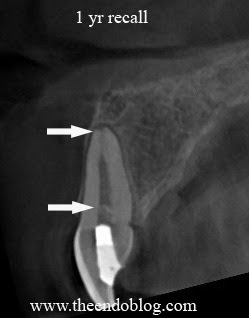 A sagittal view of the tooth also shows complete apical closure as well as coronal dentinal bridging. In this particular case, the MTA plug was not placed deep enough below the enamel and staining occurred, despite using white MTA. Thanks for all the medical information.There are adverse effects of many things on the body and this debate is going on for quite some time now. Fascinating info on Pulp Regeneration. There are other more efficient options available allowing to preserve and regenerate partially necrotic pulp without even performing Rott Canal Therapy, in particular: Lesion Sterilization and Tissue Repair (LSTR) Therapy with 3Mix-MP (http://www.lstr.jp/e/information.html). 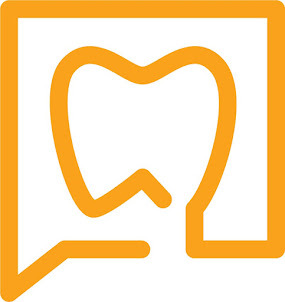 Read relevant LSTR Journal articles (http://www.lstr.jp/e/journal.html) for details and try it yourself - it can make you a famous endodontist.